How To Remove Under Eye Dark Circle Naturally At Home? Dark Circle … Well If you developed dark circle under your eyes and feeling worried about that .., That you are stuck with them for a lifetime then don’t feel worried about it. 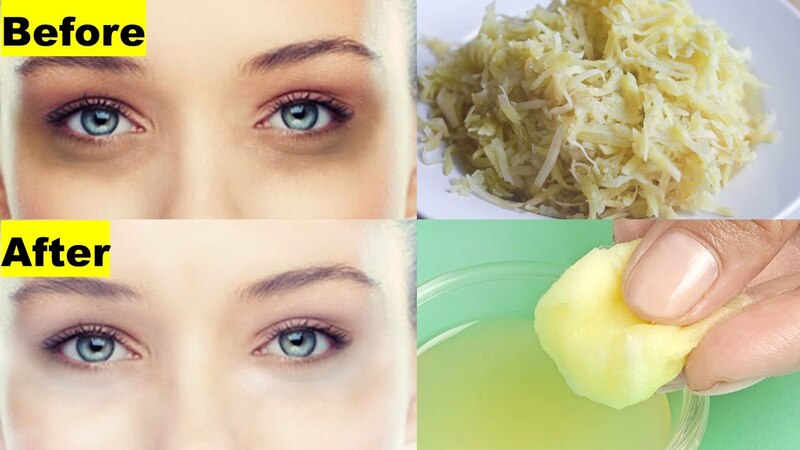 Now I will Share Some interesting and Best Home Remedies for removing the Dark circle Permanently. Nowadays Because of our Hectic Work Schedule and Staying up late at night, We developed Dark circle and then we think That now we have to stay with that. But “NO” You don’t have to. Just follow these tips to remove the dark circle problem. Yes..! Cucumber is really effective for under eye dark circle. Well, you can see that in movies most of the actor's and actresses apply some cucumber slices on their eyes. Yes, cucumber gives a cooling effect to our eyes. It just calms down our nerves and removes the heat from our eyes. Well, you just have to cut two thin slices of cucumber and place it on your eyes for 30 to 40 min. Coconut oil has a natural agent to lighten the skin tone of our skin by just apply it before going to bed in the night. It cleanses the skin pores and makes it toned and it also lightens the skin complexion by Reducing Wrinkles and Blemishes. You just have to take some few drops of coconut oil and cool it down in the freezer and After washing your face in night apply it on your skin and also on your eyes skin and then just directly go to sleep and in morning wash your face with simple mild water. Almond Oil is a natural ingredient to apply to your dark circle. 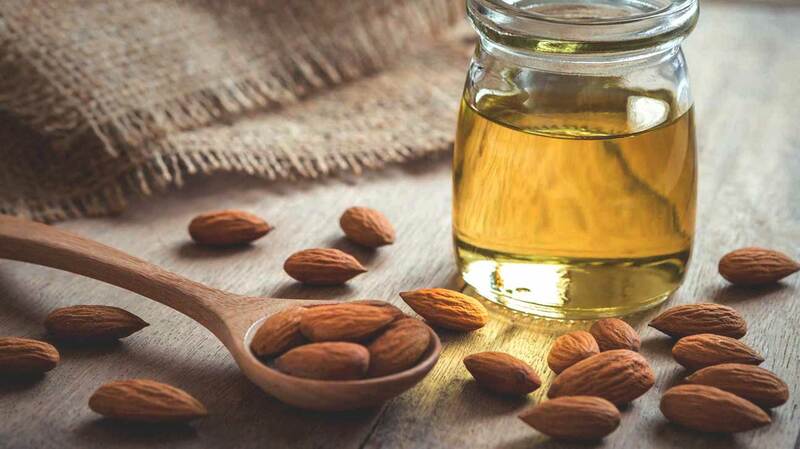 It contains vitamin E.Almond oil helps lighten dark circles. Combine almond oil with vitamin E and your dark circles will be history. These ingredients can easily find out in your home. 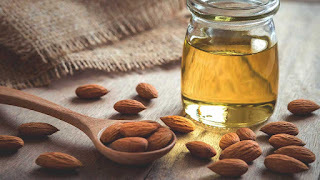 Before going to bed just apply some drops of almond oil and massage it with a soft hand and leave it overnight and wash it off in the next morning with cold water. Apply it two times in a week till your dark circle completely gone. Potato contains a natural Bleaching agent that reduces the dark circle by lightening it as well as it reduces the puffiness around the eyes. Grate the potato to extract the juice from it and leave it in the freezer for 2 3 minutes after then soak a cotton ball into it and place it on your eyes just take care of one thing that it should cover the complete eye. Allow the juice to sit for around 20 minutes and then rinse it with cold water. You can repeat it twice in a week. Tomato is used as a vegetable but it is a fruit. It contains natural Bleaching Property that lightens the skin tone as well toned it up very well. 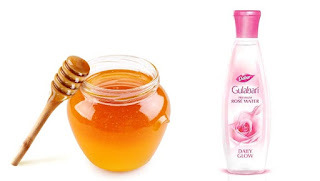 Honey is used for making the skin soft and removes the dirt particles from skin pores. Mix one teaspoon of tomato juice with a half teaspoon of honey. Mix it Properly. Gently apply this mixture on your dark circles. Allow it to sit for 15 minutes. Then rinse with cold water. Follow this remedy for twice a day for 1-2 weeks to see the result. As we heard from our moms and grandmothers that Rose Water is really good for our skin. They used to apply only rose water in their skin to look more youthful. And Vitamin E is also good for skin, especially for our hair's and eyes. Take one tablespoon of Rose Water and mix one Vitamin E capsule in it. Mix this ingredient and apply it to your eyes and dark circle. Let it sit for 20 minutes and wash it off with cold water. Use it for 1 week to see the result. How to Treat Tooth Decay And Cavities Problem At Home ? What Are The Best Clothing Style And Fashion Tips For Men ? How To Use Egg Hair Mask And Its Benefits ? How to Make Thick | long | Shiny | Strong | Hairs? What are the simple ways to remove Sun Tanning? what are the myths and facts of Superfoods ? What are the benefits of eating oats and how it is healthy? what are the cure for chapped | dry | dark lips ? What are the Benefits and Importance of Herbal Product in Daily Life?